Welcome to the Lenscraft in Focus newsletter September 2018. I would like to give a particularly warm welcome to all the new subscribers over the past month. I hope you all enjoy this month’s newsletter. As someone whose been using the Nik Collection for a very long time, I tend not to think very much about which plugins to you. I just sort of know. But then I was recently talking to someone and they reminded me about how confusing this collection of software can first appear. That’s why this article is about how to use the Nik Collection which you can read on Lenscraft. Learn more about the Nik Collection and tutorials on Lenscraft by visiting the new Nik Collection Tutorials page. Time flies. It’s almost four years since I developed the current Lenscraft website and it needs some attention. In fact, if you’ve visited recently you may have noticed that I’ve already started making changes. Some of these are behind the scenes to improve security and speed, whilst others are visible to visitors. An area I’m very keen to improve are the tutorials. I’ve noticed a few old tutorials contain corrupted images which I need to fix. I also want to add additional information to many because they look a little “thin” on content. In some cases, I think the addition of a short video will enhance the article, making it easier to understand. My ambitious plan is to revise every article and page over the next 12 months as well as adding new tutorials and videos. Where I develop videos, I’m also going to post it to YouTube. All of this will be free to every Lenscraft Member. It may take me a little longer than 12 months, but I think it will improve the resources on Lenscraft. Following these, my next engagement is in December where I will be speaking at Chester Photographic Society, Cheshire. Most clubs and Societies are happy for visitors to attend but do please check with them first. If you are interested in attending, please contact the club/society through their website to confirm arrangements. Interesting content I’ve discovered this month. This month I’ve been on the hunt for great black and white Landscapes to share. When I discovered Jack Currans website I was immediately impressed by his work. All the images are very well composed, and the processing is perfect. Mountain Light, which features a lot of peaks that I recognise from Patagonia. The other day I was browsing through the posts on the FStoppers website when I noticed this post. It included a video from my good friend and frequent photography partner Steve. If you like film or hate film, it’s a good one to watch. Some of the comments to the article made me smile; people can get quite heated when discussing this subject. Only the other day I received an email from Alien Skin announcing Exposure X4 is coming soon. The list of developments in the announcement http://bit.ly/2LplTo6 looks quite promising. I’m very keen to see the new version as Alien Skin Exposure is a long-time favourite of mine. If you purchased Exposure X3 on or after the 1st July 2018, you qualify for a free upgrade. As mentioned in last months newsletter, I’ve been revising my Silver Efex book. 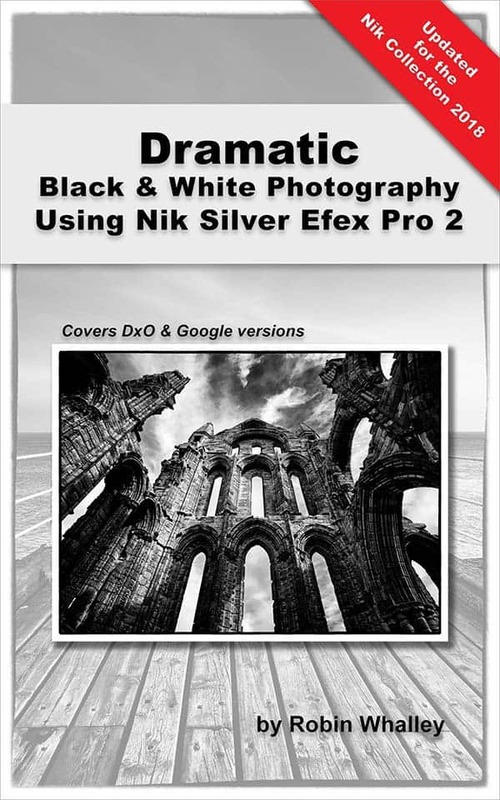 The books now complete and describes both the Google and latest DxO versions of Nik Silver Efex Pro 2. I’ve replaced all the illustrations to ensure the quality. I’ve also rewritten large portions of the text and added a fourth worked example. To support the worked examples, you can download the starting image files from Lenscraft, but you now have two options. The first is to download JPEG images (2,000 pixels on the longest side) and the other is 16-bit TIFF files (3,500 pixels on the longest side). You will see the file size for each on the Book Downloads page. The new book is already available on Amazon. If you previously purchased this title from Amazon, you can access the update in your library. IMPORTANT: New versions of Kindle Books don’t download to your Kindle or Kindle reader automatically. You need to first confirm you want to receive the update through the Amazon website. I’ve written a short article on Lenscraft describing how to do this. If you haven’t previously purchased the book, you can now buy in from the Lenscraft Shop. It’s the same price as Amazon and available in three formats (ePub, PDF and Kindle Mobi). I’m also going to release the new book in Print, as well as to Google Play, Apple, Kobo, Barnes and Noble and a few others over the next couple of weeks. I know a lot of Lenscraft members are using Affinity Photo and keen to learn more about the software. 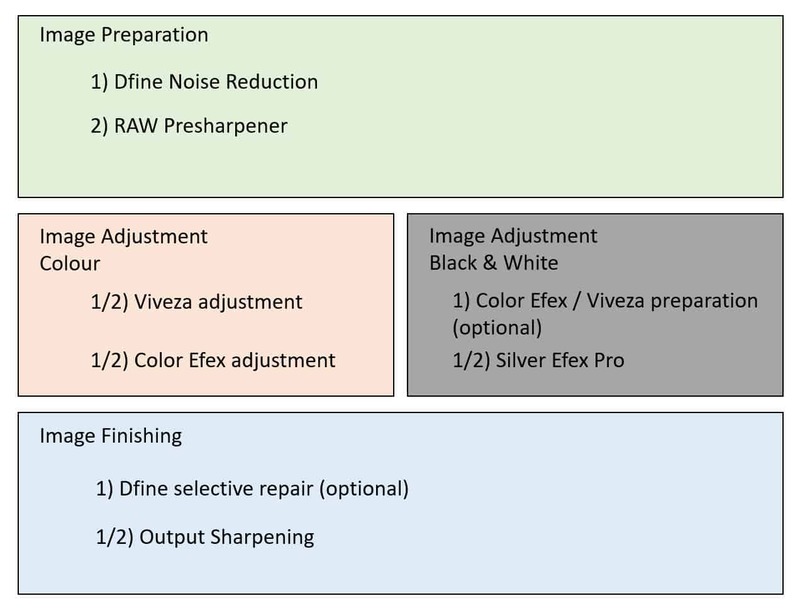 Whilst Affinity is great software, it’s like Photoshop - it’s not exactly user friendly. To help, I am planning a book for photographers in early 2019. Importantly though, I’m also working on a series of weekly video tutorials to cover the basics. I’m expecting to release the first video in the series on the 11th October 2018, on Youtube. Be sure to subscribe to my Youtube channel to avoid missing out. I’ll be publishing the next edition of Lenscraft in Focus on the first Saturday in October.